As a fan of Jane Austen, I've always been interested in books that depict her life and share a part of the history in which she lived and even created. I especially enjoy fictitious versions of Austen as they tend to portray her in such a delightful and fun manner - smart, spunky, and resourceful (all of the things I'm sure she was, but magnified). So, when I was offered the chance to read Syrie James' novel, Jane Austen's First Love, I eagerly accepted. 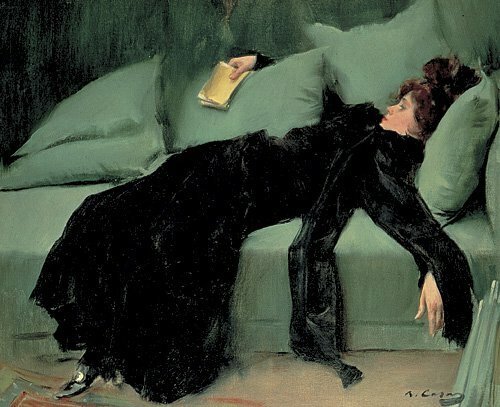 Especially, since I had just finished Charlie Lovett's book, First Impressions, and was in the mood for more Austen inspired stories - the James book fell into my lap at the perfect time! Syrie James' novel, Jane Austen's First Love, is the epitome of a mash-up between historical fiction and romance. It has first love, matchmaking schemes, and courtship to make the romantics swoon over; along with the Georgian era as the time frame and backdrop to build the story lines around for the history buffs. Plus, the creation of Jane Austen's first love at fifteen is the fiction that propels the story forward in a terrifically spellbinding manner. I absolutely loved getting to know Austen through Jame's writing - she was as passionate about her writing as I would have expected her to be. And reading about Jane struggling to stay true to her self, her heart, and her family was exciting. James has written a refreshing and imaginative Austen-inspired story that truly seems to capture the essence of the Georgian era and Jane Austen herself. I found the story to be a fun and delightful read. The writing was engaging and showed what a creative mind James possesses. And the characters were lively and very relatable - making it easy to befriend them. 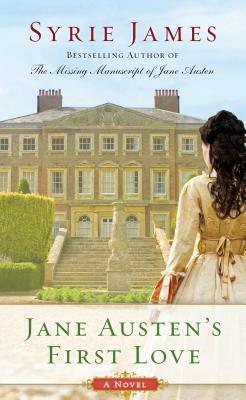 I really enjoyed reading Jane Austen's First Love by Syrie James and would happily recommend it to fans of Syrie James and fans of Jane Austen - you will LOVE this book!! Thanks so much to the publisher for providing me with a copy of this book! Love this book. Having fun reading all the blogs. Great review! I can't wait to read this book! This book is a definite must! Great review and thank you for the giveaway. Thank you so much, Nadia, for your wonderful review of my novel, Jane Austen's First Love. I am so glad you enjoyed it. I love what you wrote so much, I hope you don't mind me quoting from your review! I also want to thank everyone who commented and include a shout out to those of you who are following the blog tour. I can't wait to hear back from you all after you've read the novel! Whether you receive it for Christmas or treat yourself to a copy beforehand, I hope you'll contact me on facebook or at my website and say hello. Happy Thanksgiving everyone and thanks again! Thank you all for stopping by! I'm so glad you are excited about Syrie James' novel, Jane Austen's First Love - you are going to love it!! Good luck with the giveaway!! I really enjoyed your review and being a love of all things Austen I am going to have to read this. Amazing review! This book is definitely on my TBR! Historical fiction mixed with romance. Sounds wonderful. I really liked how James created characters to based on characters from Austen's work that we could imagine were the inspiration! A historical fiction on Jane Austen, going to add this to my TBR list. Your review is promising, I can't wait to make my own opinion about the book but I'm pretty sure I will enjoy it, so far I have alreay read The missing manuscript and The lost memoirs. Also entering the giveway, thank you ! learning so much on your tour. Thank you for the awesome review - I couldn't wait to read it before, now I am even more excited!!! I love how excited you all are about this book! I'm so glad I was able to share my thoughts on it with you all. It really is a fun read. I'm definitely a huge fan of these Austen-inspired stories - they are such a fun way to read about Austen. Definitely read this book and enjoy! !